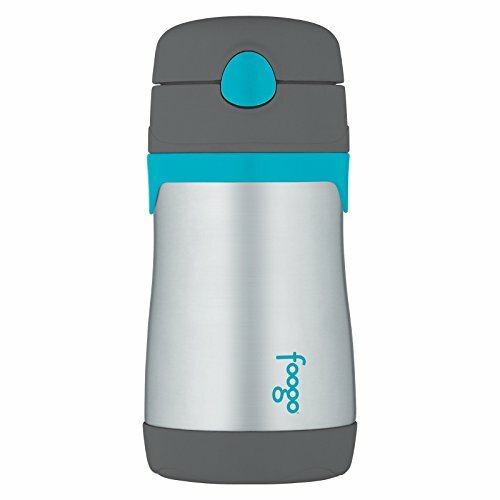 Enjoy any cold beverage on the go with this set of two Foogo water bottle from Thermos. 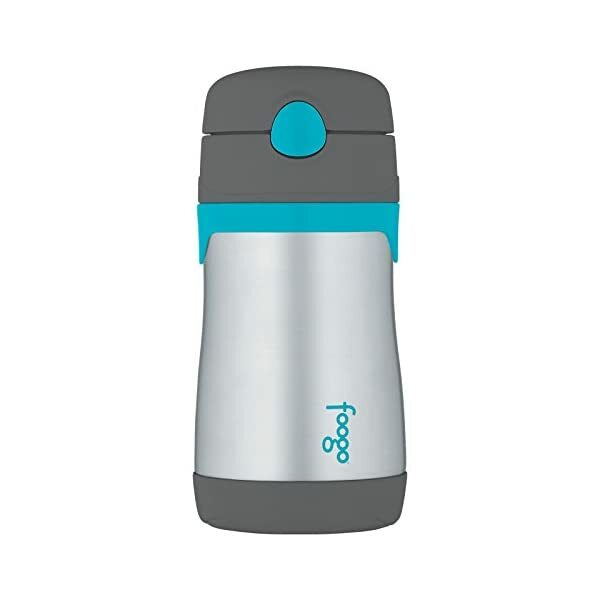 Featuring a charcoal with teal accents stainless steel design, each has a hygienic push button lid with pop-up silicone straw. With Thermos vacuum insulation technology for maximum temperature retention, they keep beverages cold for up to ten hours. They also have a contoured body that is easy to grip and integrate with Foogo Phases interchangeable lid system. Ideal for travel, these are perfect to take with you to the gym, work, or just out about town. They are also dishwasher safe, making clean up a breeze.